Jayda Kelsall, 36, says she contracted the highly contagious disease during a "trip of a lifetime" to the United Kingdom. 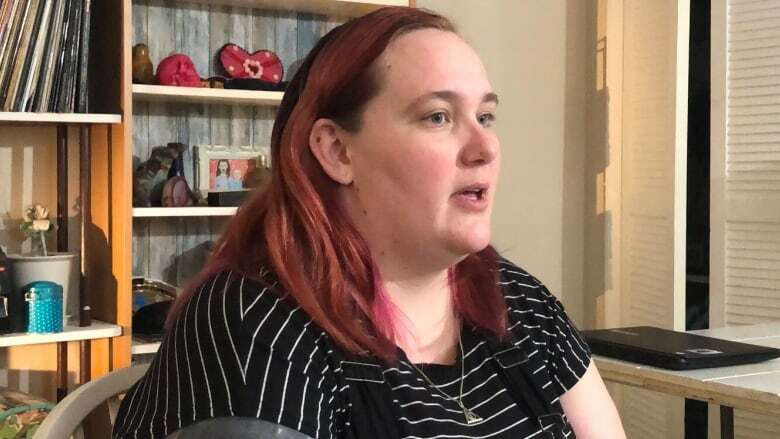 Jayda Kelsall, 36, contracted disease during 'trip of a lifetime' to U.K.
An Ottawa cancer patient who contracted measles despite being vaccinated is expressing her anger at people who have deliberately decided not to protect themselves against the highly contagious disease. "If you can be vaccinated, you should be," said Jayda Kelsall, 36, from an isolation unit at the Ottawa Hospital. Kelsall had previously told CBC News she didn't want to be identified because she feared reprisal, but changed her mind on Tuesday. Kelsall said she doesn't understand the resistance to vaccines. "To protect your neighbours and your friends and all the people you love. It doesn't make sense to me," she said. Kelsall had already been diagnosed with a rare form of cancer called peritoneal mesothelioma, which affects the abdomen. She said she contracted measles on a trip to the United Kingdom sponsored by a charity that helps adult patients fulfil their lifelong dreams. In her case, the dream involved visiting sites associated with the Harry Potter series — but on her return she landed in hospital with a soaring fever. Doctors initially thought her sudden illness was related to the cancer, but when she broke out in spots last Wednesday evening and a rash appeared on her arms and chest, they called in the infectious diseases specialist, put her in isolation and tested for the measles virus. When she was told the test came back positive, Kelsall thought they were joking. "I laughed, but it was an 'I don't know what to do with this information' kind of laugh," Kelsall said. Then she got mad at anti-vaxxers, people who believe misinformation about the vaccine's side effects and choose not to vaccinate themselves or their children. "It makes me really angry," she said. "It's so preventable. It's something that nobody has to get anymore." 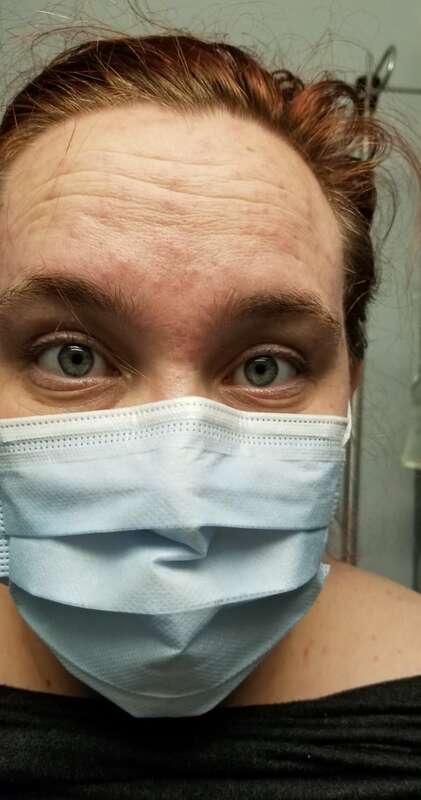 Kelsall said she'd been vaccinated against measles, but Ottawa Public Health (OPH) said some people with weakened immune systems can still be vulnerable to the virus. Measles is a virus that multiplies in the nose and throat, and spreads through the air when the infected person sneezes, coughs or even exhales. Infected surfaces can remain contagious for several hours. OPH said two people have now been diagnosed with unrelated measles cases in the capital less than a week apart, both contracting the disease while travelling outside Canada. Because it's highly infectious, the discovery has led to a public health campaign to contact hundreds of people who may have come into contact with the two at restaurants, shops and hospitals. The cases are the first in Ottawa since two were identified in 2016. Ottawa has a high rate of vaccination, according to Dr. Trevor Arnason, the city's associate medical officer of health. However, OPH had been vigilant this year over growing concern about measles outbreaks outside Canada, including the United States and Europe. A public health warning before March break asked Ottawans to make sure measles vaccinations were up to date before travelling. There are also federal travel notices about measles outbreaks in the U.S. and several European and African countries. Arnason said most family doctors in Ottawa may be unfamiliar with the symptoms, because measles has been all but wiped out for most of their careers.